Mark has the Mark Hilliard, ATELIER, his PRIVATE digital and darkroom studio where he practices fine art nature, landscape and Wabi/Sabi photography. 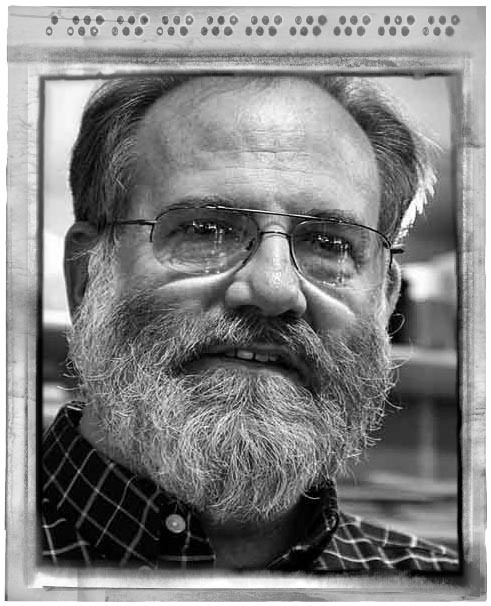 Mark specializes in Large & Medium Format film photography and creates alternative prints with his Van Dyke Brown and Platinum/Palladium printing. This is a process from the 1840’s where the emulsion is made and coated directly onto the print paper, dried, exposed in a UV light box and developed in several chemical baths. You can see examples of this in the WORK tab above! While Mark shoots high resolution digital, but he loves working in Medium & Large format film as well. He has three 4×5 cameras and several medium format systems (see below). He processes and wet mount scans all of the negatives, both B&W and color. Samples of this film work can be seen in the WORK tab above! He tends to shoot about 80% in film. Loved the water droplet pictures- WOW! I have switched from the Olympus to a panasonic GH2 for my water drop shots now! The tethered control is a system called “thee time machine” which controls the camera, flashes and drops the water drops. If you do a google search on water drop photography, you will find a link to a web pagr that talkeks about it! I have a Hassleblad XPan and don’t know how to use it (sad!). Would you give a lesson? Sandy, which XPan do you have? Do you ever get up to Pawleys Island? Valuable info. Lucky me I found your site by accident, and I’m surprised why this twist of fate didn’t came about in advance! I bookmarked it. Happy to have found your website, and how you work with colors. Curious, about your thoughts on the EM-D vs the Fuji X-Pro 1. … AND I MUST have an electronic shutter release to do my lightning and water drop photography. These are the ONLY reasons that I have the OMD. Now, with the new Fuji body out with the electronic release, all bets are off. I don’t know if I will get it or wait till the X Pro 2 to arrive and continue with the OMD for these 2 special types of photography. And with the release of the… what was it? 75-200 IS lens next spring I will have all of the reach that I desire. I see a future where the OMD is converted to IR soon! Mark, any comments on the new Fujj XE-1? I worked with it at the NYC Photo show and loved how it felt in the hand, the easy menu, the Q button, and it’s shared sensor and processor with the X-PRO 1. Well, same sensor and image electronics. BUT the ability to attach a remote shutter cable using 3 different options! That is the selling point for me. I need to hook it up to my lighting trigger… I have one on order and will have it next saturday! The Optical finder is gone but they upped the ante on the Electronic one. Cut down the res on the LCD to keep size of the body down but I saw no problem using it for the 30 minutes I had with it. Added a pop-up flash and kept the shoe for add-on flash. It seems to me to be a great street camera with the ability to shoot like you do with the X-Pro 1. Fuji reps told me at the New York show to forget about an X-Pro 2 for about a year. The new 18-55 zoom is also very fine. I will buy when it’s available at B&H. Yep, all of this points to a nice small system that will work very well. I have the 18-55 on preorder from Amazon also. Mark, all your pics are fantastic! How do you connect your EF-20, EFX-20 and EF-42 to the X-Pro 1 when using multiple flashes? Do you use any kind of wireless trigger? And what magnification ratio do you reach with the Voigtlander + extension tubes? Albert, I only use my Canon 580 EX 2 flash units when I am doing high speed work like hummingbirds or water drop collisions. For the water drops I have a controller system that controls the flashes, dropper and camera so there is no connection between the camera and the flashes. For hummingbirds, I use cheap cowboy studio wireless flash controllers between my Fuji bodies and the canon flashes! It works great and allows amazing hummingbird shots! For my CV 75mm f/1.8 lens I have 2 5mm Leica extension tubes which gives a macro image ratio of 1:2. I have tested and measured this and found it to be very accurate. If I could afford it I would purchase the Leica 90mm f/4 macro lens to use instead which gives a 1:1 ratio! Still I am getting good images with the CV 75mm. I was thinking of getting another 5mm tube for the M lens but they are difficult to locate! Your X-Pro1-Roanoke Marshes Lighthouse Sunrise picture is awesome. What did you spot-meter? The white wall? And did you expose at the 758 DR reading or did you correct it (I have both an X-Pro 1 and a 758 DR)? I metered the white front walls of the lighthouse and placed it in Zone 2.5 So I lightened it up from the meter reading 2.5 stops. I have learned to think in the Zone system over the years for every image I take! Thanks for the kind words! Thank you Mark. I see I will have to buy Zone System books! But if I understand well, when metering the wall you position it in zone 5. So, bringing it to zone 2.5 would mean darkening the scene and not lighting, right? Yes, the Zone system make this type of work very easy unless you are old and tired like me! The zone shift was +2.5 zones from zone 5 to zone 7.5. Zone 10 is white and zone 1 is black. Forgive me as I was very tired when I answered you! Thank you very much for your interesting posts on long exposures, zone focusing and the explanations regarding ND and graduated ND filters. I find this information invaluable. Never again will I look at the X-E1 solely as a tool for street photography. Your site has been a real eye opner for me. I’ve learned so much in the two days since I first visited here. It’s rapidly becoming my favorite site! Thanks for the kind words! I have a lot of fun with this blog and my IR blog! Mark, you have noted your liking for the Voighlander lenses. How do I mount one on the XE-1? What do I need to have to make the connection? Patrick, go to amazon.com and search out Leica M to Fuji X mount adapters. There are 3 or 4 companies making them for about $40.00. If you can spare the money, purchase the Fuji M to X mount adapter. It costs right at $200 but is intelligent and has correction functionality built in! So you are using the X-Pro1 instead of your Olympus pen for your IR shots now? Yes, I sold the Pen a year or so ago. I still have a Panasosnic GH2 at 590nm but do not use it too much. The Fuji is SO MUCH BETTER that it is all I pick up now! Why did you do the 720 conversion instead of the full spectrum? Stanford, I already have several done that way and i was looking for simplicity with this camera. I just read your “A Simple Tutorial on Infrared Post Processing”…, does it really require all that of software to do false color infrared? Hi Will. For Faux color work the real requirement is that you have the ability to do channel swaps. For this photoshop is the way to go. Plus in photoshop you can also load actions which makes the channel swap action that you can download here the very best way! Elements and Aperture can have a channel mixer plugin added to give you the ability to also work with Faux images. The NIK filters are perhaps the most amazing and powerful tools you can have. You can get them for Photoshop, Elements, Aperture, and Lightroom. Once you use them you will NEVER go back! I have the XE-1 and the 18-55 kit and the 35 1.4. I do general scenery and street shooting, all random, and my shots have been all I could ask for. This camera and the two lenses are fabulous. What would I have to be doing to warrant the upgrade to an XE-2? Also, rumor says the X-Pro 1 will be announced in January. Do you think that might be true? The new Pro model is coming but who knows when… The X-E2 is amazing. The upgrades are moving from 12 bits to 14 bits, the phase AND contrast focusing and the electronic shutter release. I upgraded! I enjoyed your pictures and nice neat website. I’ll add it to my bookmarks and look forward to see your new works. Your website I found when searched for info about Fuji cameras. I am Nikon and Sony fun. This year there are many interesting new babies appeared on the market . I think to switch from weighty SLRs to more compact mirrorless. I consider Oly OD-M1, Sony RX10, Lumix LX7 and FujiX-E2. Thanks for the kind comments. I LOVE the Fujies! I am checking to see if you ever solved the issue with the X100S and the electronic shutter release issue. I have searched the web and can’t seem to find an answer. Is there a wired electronic shutter release that will work with the Fuji X100S? NO!!! I hate that Fuji did this to me… I still purchased the camera and use it more than my others though and that should tell you something! Mark, in following various reviews of the XE-2 vs the XE-1, this one is a good measure of the image sensitivity produced by the two cameras. And the result appears to show the XE-1 imagery somewhat bests the XE-2 in the most used ISOs. http://www.techradar.com/us/reviews/cameras-and-camcorders/cameras/digital-slrs-hybrids/fuji-x-e2-1189190/review/5#articleContent. Patrick, look closely at the data. The XE2 is on the top in the ACR RAW mode over ALL THE OTHERS.. I only shoot in JPG when I am on vacation chasing my grandkids around. I NEVER use the supplied software (RAW conversions) and only use Adobe’s ACR for conversion until the new version of Capture 1 comes out with support. I would actually expect the X1 and X2 close in these measurements. So far the X2 is outshooting my X1 in all regards, but as I said, I shoot in RAW with Adobe ACR for tiff conversion. Given that the XE-1 & XE-2 best the other cameras listed in these independent reviews, it would seem going with either is a really good choice, especially since both give access to the amazing Fuji lenses. And given the closeness of the results of both it would also seem that those of us with an XE-1 maybe don’t need to change to the XE-2 hastily. The improvements are notable, but enough for enthusiast shooters like me to make the financial trade? The XE-1 is a fabulous camera and is still mentioned in the XE-2 reviews as such. I have never been disappointed with any images it has given me even if the shots take a micro-second longer than with the XE-2. I think I’d rather spend the trade-in dollars on extra lenses instead. On…the…other…hand, the X-Pro 2 is rumored for announcement at the 2014 CES in early January, with possible availability mid-year. Can’t trust rumors, but Fuji has been on an upgrade track for the last few months and the X-Pro seems to be the last for some attention. Hmmmmm. Patrick, I LOVE the XE2, in fact it has turned into my main camera system. I use it and the X100s. I put the XE1 into a display case in my gallery until I send it off to be converted to IR. I WILL keep the X Pro 1 as a standby ( I REALLY LOVE THE OPTICAL VIEWFINDER) and I have another X Pro 1 as a 720nm IR system. In a recent interview with the fuji product manager he stated that the X Pro 1 is their main pro body and they are going to continue to upgrade it via firmware for the foreseeable future. YES there will be an X Pro 2 but I do not believe that it will be in 2014. It is a tough choice, but for me the XE2 upgrades are amazing. Just the jump from 12 bit files to 14 bit files is enough reason but thro in the new series 2 sensor with dual focus technoligh really makes it a different camera. Please let me know what way you go. The dynamic range only applies to JPG files. I have a cheat sheet somewhere goat gives suggested setting for the camera setups. but if you shoot raw, then you are better off because you are getting 14 bit color files and in jpg only 8 bits. The dynamic range is done by reserving several ISO ranges that enable the sensor to sample/resample at 2 or 3 iso setting and combine them for the enhanced image. But remember, this is 8 bits. Shooting in RAW is the better choice. If you learn any more about this please let us know here on the blog! The XE-1/2 dynamic range feature is there to control contrast, so states the manual. It goes on to suggest using lower values indoors or under overcast where natural contrast is low, and higher values when faced with high contrast situations such as sunlight on reflective surfaces, light clothes in darker settings, etc. The camera provides three settings: auto, to let the camera choose or a specific 100% enhancement. 200% becomes available at ISO 400 and 400% at ISO 800 which makes perfect sense. Higher ISO’s often introduce problems in density and contrast. Or used to. Fuji’s reviewers have done photo shoots and reported superb quality at ISO as high as 6400. These settings seem to be additive. But there are two other controls that seem to provide even finer control of contrast and these can be found in the menus or more quickly with the Q button. These are the Shadow and Highlight controls, which strike me as another way of describing contrast. And these have both additive and subtractive values. In general I see HDR mostly as a way of increasing contrast throughout the photo to achieve its look. The Fuji cameras appear to allow us a couple of ways to dial in that contrast more sensitively. I don’t claim to be entirely right here and am not certain my comparison to HDR is right. But if I’m even close, it gives me a strong reason to stay with the XE-1/2 cameras instead of using another brand that has a basic HDR feature. HDR also includes some adjustments to color and tone as well as contrast. Happily, our Fuji XE-1/2 cameras also has settings for each of those. HDR is often just a simple on or off setting in many cameras. I’m not sure if the higher end DSLRs offer any adjustment. But we are certain and our Fuji X cameras do offer that capability. We can fine tune our photos as we are taking them and instantly see the adjustments on the LCD in Live View or immediately after the shot has been taken. If I have any of this right, Fuji is way ahead of many of the name brands in this areas. Mark, here’s an issue I’ve been considering for some time. Maybe this is the wrong place for this discussion. If, so, please don’t post it in the blog. But I have a general question and would like to see if there is an answer. Your post-processing on your photos makes them in to fabulous pictures, no question. And I use Photoshop and Lightroom and Nik to adjust my photos. But what bothers me a bit is simply wondering when they stop being photos and become pictures in the larger definition of that word. Earlier photographers we all admire worked hard to take as close to the perfect picture as they could, sometimes waiting hours for the right light or the right cloud formation. Then in the darkroom they might do a little dodging and burning. They were all BW shooters at the time and had bigger cameras. Later greats with color argued over film types but there was still no post-processing of any significant consequence. Today, in the digital world, anything is possible, and some of the adjusted results we see are stunning in every way, a true pleasure to view. But do they have any resemblance to the original photograph? And does it matter? There is a software package for sale that allows a portrait of the talent to be adjusted to have no blemishes, smooth skin. It can changes lips, eyes, eyebrows, nose, etc., to the point where, if I were a casting director and hired an actor based on the photo, and then the actor who arrived was not what I saw in the photo, I’d be very displeased. In our case, nobody knows what our original photo looked like. But we know the final result is not the same. When do you think the line is crossed? Or is there even a line? Not surprisingly, no X-PRO 2 at CES. BUT, one amazing-looking lens: the 56 1.2 (85 35mm equivalent). That looks like a must have with bokeh likely excellent and low-light ability surely equally fine. Color and distortion control, speedy focus and quiet operation, all undoubtedly as good or better than previous X lenses. We’ll have to wait for Photokina on September 16, maybe, for new X bodies. Yes I expected this. Fuji has been saying no new pro body now. The TechRadar website (techradar.com) has an extensive review of the XE-2 and mostly likes it very much. But they found one thing that troubles me. You and other pros mostly shoot Raw, but as an enthusiast I shoot mostly JPG and really don’t want to spend a lot of time in Photoshop, Lightroom, or NIK. I want the photos I take to stand as much as possible on their own. I interpret this to mean two things: 1) if I’m not paying attention to focus when I shoot, then this problem arises. But the shots wouldn’t be useful anyway. 2) Well focused shots with some undefined quantity of bokeh might end up getting their soft areas sharpened and incurring this problem. I cannot agree with the opinion that the majority of XE-2 users shoot in Raw. I suspect there’s no study on this and such a statement begs discussion. I’m beginning to branch out in my Fuji lenses. Which do you think handle a Hoya infrared filter best, and what level IR filter works best for each lens? The 14, 35 and 55-200 work great. The 18, 18-55 are bad. All the X-Pro and XE shooters should be looking over their shoulders. The X-T is in town and likely to command serious attention. Check the Fuji website and Google “Fuji X-T1” and you’ll be inundated with all kinds of info. Do note, however, these early reviews were done with pre-production models and a Fuji rep has confirmed that and also indicated that most of the small criticisms have already been noted, implying production models will have some tweaks. Patrick, too true! I just ordered a XT1. You just cannot ignore the specs! Fuji Camera and Lens owners: check Support on the Fuji website. There are new updates for cameras and some lenses. Mark, how goes it with your XT1? Well, it is a “WOW” camera to be sure, but I can only shoot in JPG since no one has a working RAW converter yet! Good as the XT1 seems on paper, it was ultimately uncomfortable in my hand. Opted for the XE2 and already out with it, it feels just right, as did the XE1. That, I think, is the principal reason to choose one’s quality camera. Plus, of course, all the X Lenses work on both bodies and with the same sensors and processors, the two are likely to produce equally fine images. Matter of preference in what one likes for one’s own shooting. Never found anything to dislike in the XE1, but the XE2, as you have noted, is snappier and the imagery is demonstrably better. The XT1 is somewhat quicker, but the design is sufficiently different to make it a very different shooting experience. Matter of choice. Both are superb. I can only imagine, now that they’ve done the XT1, where they are going to take the XPRO2. Nicholas, I keep a Fuji X-T1 body in my case with the Fuji M to X mount adapter. This costs $199.00 but it is worth it as it will allow for corrections to each lens! I even have a Leica R to X adapter for the fuji as well. This allows me to carry the Fuji X-T1, Leica M240 and Leica M7 and use the lenses across all of them. You can click HERE for the link. Mark i am looking for a phot workshop for the Outer Banks for Sept 12 or 13, 2014. Do you know of one available? Thank you! Mark, I have the olympus EM-5 and the Fuji X-E2 and I’m leaning toward getting the Fuji converted to infrared. Which camera would you convert?? I have a converted Nikon with 720 filter. Is there a filter which works better with the Fuji sensor? I’m tinking of the color filter (650) not the super color(590) filter. What do you advise? Sue, I would convert the Fuji X-E2. It will make a great IR system for you. I have the X Pro 1 converted to 720nm and a X100s converted to Dual Spectrum and both are simply amazing! Go to Kolari Vision and take a look at their Dual Spectrum. It will do EVERYTHING from 590 and up even normal color. Thank you for your response. I will convert the X-E2 and will look into the dual spectrum. I know what a painful back feels like so I hope the procedures you’re having will help. If I don’t care about shooting”normal color” wouldn’t I be better of getting 590 conversion that way I won’t need multiple filters (or adapters) for different size lenses? Yes, it would be much more cost effective for you. Do you know if one conversion is better with the Fuji sensor than another? No one is as good as another. I like 590 and 720nm. Question: Did your read my applications from front to back? If so, you would have notice I’ve specifically stated I was NOT in a position to consider an invitation from a “Master” until around July 1st. I’m not discounting your invite outright, but would like a reply to this issue. For me, I took a lot of thought and time on my application. I want to know that a “Master” took the time to examine it closely. How and why did you choose me as an applicant? In my case, I’m very clear regarding the areas of photography I currently shot, plus areas I’d like to explore. How will you meet these needs and do you have experience in my areas of interest? You may need to review my application to response to this. Levels – Are the levels and working through them, more the focus of the program and there’s little attention focus on what the participant desires to pursue? What involvement does the Master play? Post Processing – My application notes that I no longer use PS, nor have do I have an Lightroom. I do use NX2x, Photoshop Elements, Nik Software filters, and Photomatrix. What percentage does post processing play in the learning processing between you and me? Where does your area of expertise focus? To what degree does the Grand Library contain video on the software I prefer? My Invitation: I invite you to start a dialogue with me. Share with me, first your impression of me from my application and my areas of interest. Next, how would you guide me through the program? Thanks Rick for the great questions. I have answered you via private email! I came across your site while searching on long-exposure tips. When I saw the shot of deckhouses on a creek I immediately said, “That’s Pawley’s!” My family went there every summer for years, usually to a house on the north end, on the creek. When our girls got older it became a bit slow for them, but we have very fond memories of our time at Pawley’s. I started going there in 1979 or so, when there was still a structure that had a juke box, some pinball machines — and the hope (always unrealized) that I might meet girls. But about photography: Your photos are lovely. I’m an enthusiastic amateur, often disappointed that I’m not able to approach the stunning images that I see online. I may be too impatient. In any event, I have a trip to Yorkshire planned for next month. I have a Fuji XE-2 and I’d love to try some of the long-exposure shots that smooth out water and add life to clouds. I gather I need filters for this, such as the Big and Little Stoppers, from Lee. Is a polarizing filter a necessity, too? Add them all together and it gets a bit pricey. But I do love the look. As for lenses, is a wide-angle lens a better bet? I have a few lenses — 35mm, 18-55, 55-200 — but nothing wider than that. Any suggestions much appreciated. Hopefully we’ll return to Pawley’s some day and I’ll check out your gallery. Yes, I love it here in Pawleys! I have been here almost 20 years now! I have been googling your work for a few weeks now. You are quite an inspiration to me. I am in a dilemma, I can’t decide on the 590mn conversion or the 720nm conversion. I do not want to limit myself artistically as I like both the colors that the 590nm gives as well as the subtler tones of the 720nm. I am fairly proficient in photoshop. My question to you is which choice of filter would give me the most latitude? Please can you give me some of your wisdom on the matter? Ben, I would go 1 of 2 ways. 1. Dual Spectrum Conversion at Kolorivision.com This conversion removes the hot mirror and replaces it with a UV filter. You then program the camera with an external filter on the Lens. This will allow you to do 590, 630, 665, 720, 830 AND normal color work. The negative to this is you MUST convert a camera that has a GOOD LIVE VIEW mode. If our camera is a mirror less one then you are all set. I only suggest this for the many mirror less cameras on the market. What camera are you going to convert? I have a Nikon D300s. I like your second option for it would allow for additional filters should I want to go deeper into the unknown. With a 590 conversion what additional filter would I need to add to get to 720? Ben, the Hoya R72 is the best 720nm filter out there. I would also pick up a B+W 093 830nm filter also to do deep contrast B&W IR images. Also check on the various databases in net land about which Nikon lenses generate hot spots. Won’t adding a 720 to a 590 conversion have a cumulative effect? I mean be more than 720 in total? No, the base conversion, say 590 will turn into a 720 when you put the 720 on the lens. The 720 blocks all of the lower radiation! This is true as long as the lower number is on the sensor and the higher on the lens! I’m interesting to convert my fuji xpro 1 to be ir. Could you please let me know the dimension of hot mirror ? I’ve been watching your excellent it tutorial videos. You seem to be able to run viveza after running one of your actions, which creates a group with adjustment layers. When I try to do this, viveza is grayed out. I have to merge layers first before running layers. Am I missing something? Can you send me a screen capture of your layer stack so that I can look for the problem? The only time I have issues are when the image is black and white because the Nik filters need color data to work or when working in infrared after the channel swap then you need to flatten the kromography layers and Viveza will work again. I would like to use the “Balancing Act” photo of a water drop for the front cover of my PhD thesis. Les Saucier mentioned you to me. I have a project I would like to speak with you about. I would like to ask: I own x100F and plan the dual conversion. You say in your blog that you think it’s worth going beyond 800nm for B&W IR. Do you think it gives better results than, say, 665nm conversion, cause, just in case I wanted to shoot IR in color too, I wouldnt be able to with such conversion. I was also interested in whether, when returning to normal color/visible light with a reflective BW IR/UV filter, you get both the original color AND resolution. Hi Flip, with the dual spectrum conversion you can make the camera anything from 590 up. I would get a 590, 665, 720 and 830 external filter. It will make a powerful ir system for you. If you have Kolari do the work give them my name for a discount and get the AR coating! The 830 deep contrast BW filter is much better than using a 590 or other filters then converting to BW in Photoshop. Your choice of the dual conversion lets you do pretty much everything with your camera.